They consistently deliver quality work at affordable prices. Reliable, dependable and superior service. Our story is one of overcoming the odds. 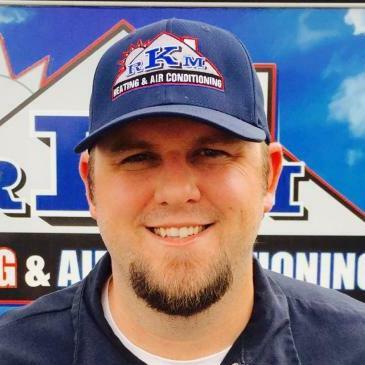 Despite being started by two brothers with $200 between them, and despite the economic downturn at the time, RKM Heating and Air Conditioning did and continues to thrive. How is success possible under those circumstances? In addition to great service quality and getting our clients the results that their after, our thoughtfulness has played a major role on this path. Our name is known and respected throughout southern California because of these thoughts. Doing things right the first time. Allowing the customer to choose options, instead of aggressively selling them products and services. Helping in general. It sounds simple, and it is. We are a part of this community, and we want to be your HVAC contractor in Corona, CA. Summers are hot and sunny here in California, just the way residents of the area like them to be. Of course, too much of a good thing is still too much. That is why we need to be able to cool our homes down reliably with our air conditioning systems. Quality AC installation and maintenance services will help you to do so, but eventually you will need professional AC repairs. When you do, our team is the one to trust to get your air conditioner in Corona, CA back on track. While the heat of summer rightly gets the lion’s share of the attention in this part of the country, it would be very unwise indeed to ignore the need for a great heater in Corona, CA. When temperatures do drop—and drop they shall—you are going to need your furnace, heat pump, ductless mini split, or dual fuel system to jump into action. When you need a new heater installed or an old heater repaired, count on our NATE–certified technicians for a job well done. Now, we would not dream of downplaying the importance of maintaining comfortable temperatures throughout your home. That being said, you are sorely mistaken if you think that maintaining comfortable temperatures is all that you have to do to keep your home comfortable. You must also maintain high indoor air quality in your home. We have plenty of systems for boosting your indoor air quality, and we can complete your air quality testing in Corona, CA to determine precisely what the problem is. Is the air filter in your HVAC system constantly clogging up? Are you concerned about reduced energy efficiency levels? Is indoor air quality slipping? There are a lot of potential causes of HVAC problems, but dirty ductwork is one of the most common and most overlooked. If you suspect that your air ducts are dirty, and then schedule your duct cleaning service with our technicians. We’ll complete a deep clean that will help you to get more from your system. Are you thinking about replacing an old, inefficient heater? Do you need a new heater installed in a new property? Has the time come for furnace repairs? From new furnace installations to routine maintenance and the trickiest of repairs, we do it all. Don’t hesitate to contact us when the time comes for furnace services in Corona, CA. Failure to work with skilled, qualified professionals can result in subpar furnace performance and even unsafe working conditions.